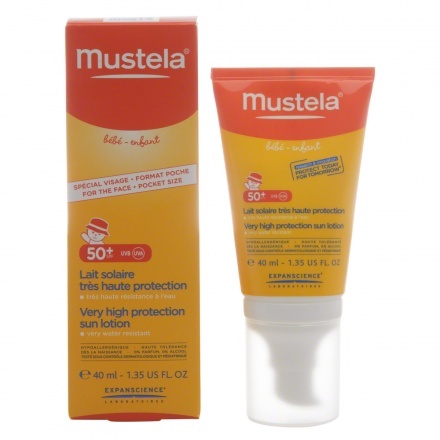 Protect your baby's face from the harmful rays of the sun and keep it nourished using this face protection lotion from Mustela. 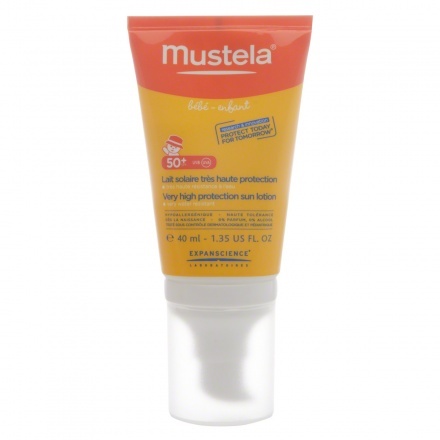 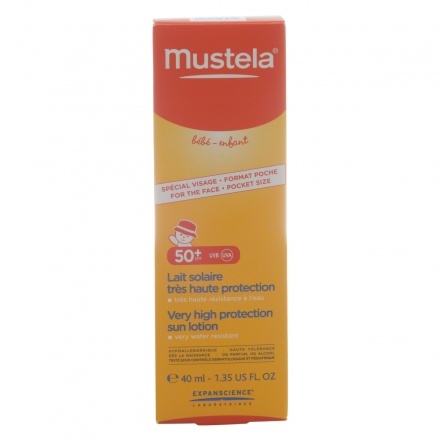 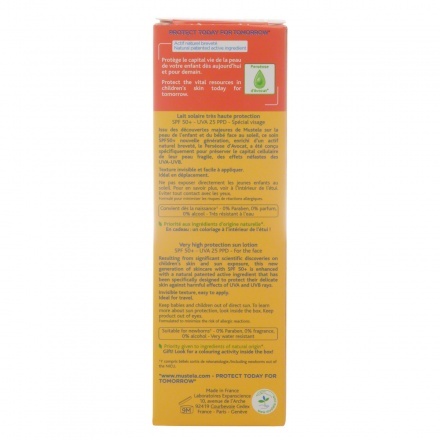 Its SPF 50+ action keeps the skin safe and gives it a soft texture. 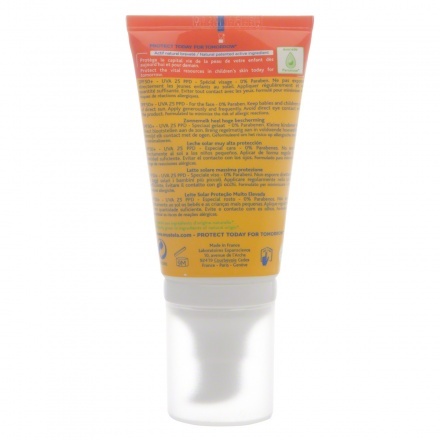 Daily application will not harm the delicate skin.